Nocatee celebrated the latest Town Center business this weekend with the grand opening of Yobe, a self-serve frozen yogurt shop. Supporters came out to enjoy treats and family-friendly events. Anna from the Big Ape Morning Mess and WAPE 95.1 FM hosted a live broadcast from the new Yobe location, including drawings for two tickets for the upcoming Carrie Underwood concert and two tickets to the upcoming Justin Bieber concert. Other offerings at the grand opening include a hula hoop dancer, face painting, a balloon arts, hair beading and hair feathering. Attendees had the chance to win many prizes throughout the event, including Yobe gift cards, hoodies, visors, T-shirts and more. 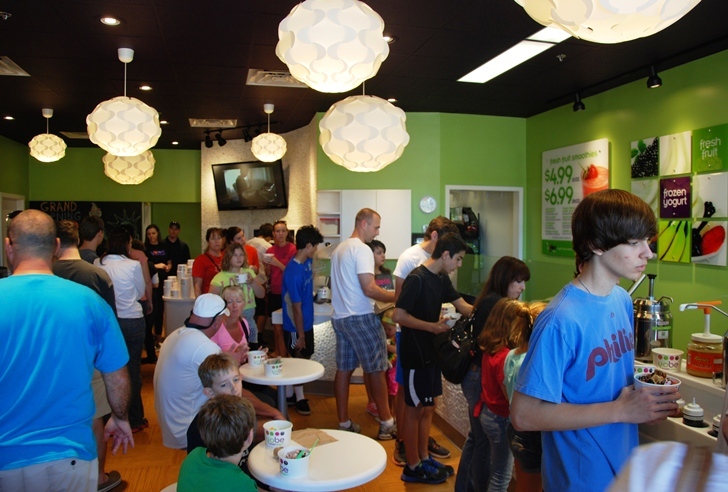 Yobe is located at the Nocatee Town Center in Ponte Vedra and is open from 11 a.m. to 10 p.m., seven days a week. Call (904) 829-8741 for more information.